Thank you to all who attended this conference, PP’s first event in New York City! Browse the photos or read our post-event round-up. Conference: What Makes a Children’s Book Great? 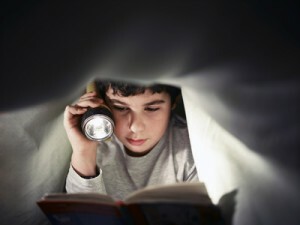 When: Thursday, May 31, 2012, 9 a.m. to 1 p.m.
What makes a children’s book great? 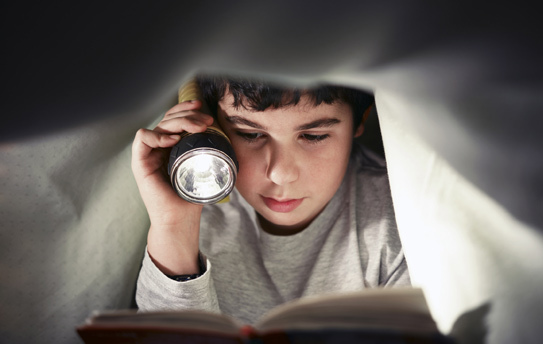 How and what will children be reading in 2020? Children’s and young adult publishing remains one of the industry’s most profitable growth areas. But what lies ahead for this unique segment? Organized by Publishing Perspectives and hosted by Scholastic Inc. — the global children’s publishing, education and media company — the half-day conference “What Makes a Children’s Book Great?” on May 31, 2012, offered informed insight into the present and future of this fast-evolving area of publishing. The event brought together leaders in the field of children’s publishing in the run-up to BookExpo America 2012 to discuss some of the most compelling and timely issues for print and digital publishing. 9:15-9:30 Keynote: What Makes a Children’s Book Great? Richard Robinson, President and CEO, Scholastic Inc. Scholastic Inc. President and CEO Richard Robinson will keynote the event, discussing why children’s books and reading are critical in the digital age, and what in our saturated media world makes a children’s book or series truly great. 9:30-10:20 Trends vs. Tradition: The Present and Future of YA and Children’s Books David Levithan (Scholastic), Pamela Paul (New York Times Book Review), Roger Sutton (Horn Books) Scholastic editor and bestselling author David Levithan will join top children’s book journalists Pamela Paul (Children’s Books Editor, New York Times Book Review) and Roger Sutton (Editor-in-Chief, The Horn Book, Inc.) to deliberate current trends and the future of children’s books. 10:20-11:10 Blockbusters, Bestsellers and Everything in Between: Agenting Children’s Books Ken Wright (Writers House), Rosemary Stimola (Stimola Literary Studio), Erica Rand Silverman (Sterling Lord Literistic), moderated by Peggy Intrator Literary agents Rosemary Stimola (President and Founder, Stimola Literary Studio), Ken Wright (Agent, Writers House) and Erica Silverman (Agent, Sterling Lord Literistic) will share the experiences shepherding in blockbusters, such as Suzanne Collins’ The Hunger Games, and working with authors and publishers to maximize their potential. Moderated by Peggy Intrator. 11:20-12:10 Born Digital, Buy Digital: Sales, Publishing and Community Building for the New Generation Kevin O’Connor (Barnes & Noble NOOK), Jacob Lewis (Figment), Paula K. Allen (Nickelodeon Global Publishing) Paula K. Allen, SVP of Nickelodeon Global Publishing, will join digital innovators Kevin O’Connor (Director of Business and Publishers Relations, Barnes & Noble NOOK Kids) and Jacob Lewis (Co-founder and CEO, Figment) to talk about catering to a new generation of readers who were “born digital” — their likes, dislikes, habits and what publishers need to know now. Moderated by Edward Nawotka. 12:10-1:00 Author, Author! : Building a Career, Connecting with Kids, and Standing out from the Crowd Peter Brown (author), Beth Kephart (author), John Rocco (author/illustrator), Raina Telgemeier (author) Award-winning authors Peter Brown, Beth Kephart, John Rocco and Raina Telgemeier will provide the author’s and illustrator’s points of views on what it takes to create books that connect with children and parents alike, and stand out among the rest. Moderated by Dennis Abrams. The registration fee of $249 ($199 before March 31st, 2012) included a casual meet-and-greet breakfast before the conference and a networking lunch from 1 p.m. to 2 p.m. on the Scholastic balcony to encourage discussion and debate following the day’s events. Press: For press photos or other inquiries about the event, please contact Hannah Johnson at hannah@publishingperspectives.com. Please contact Thomas Minkus at 212-794-2851 or minkus@book-fair.com with questions or to receive program updates. Produced in cooperation with Frankfurt Academy — conferences, seminars, and publishers’ trips of the Frankfurt Book Fair.